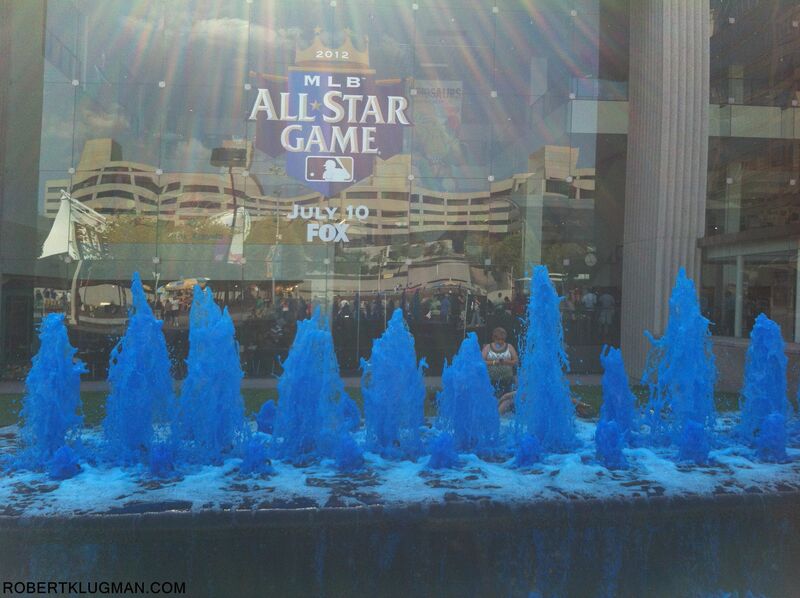 I took these pictures during the week of last years All Star Game. 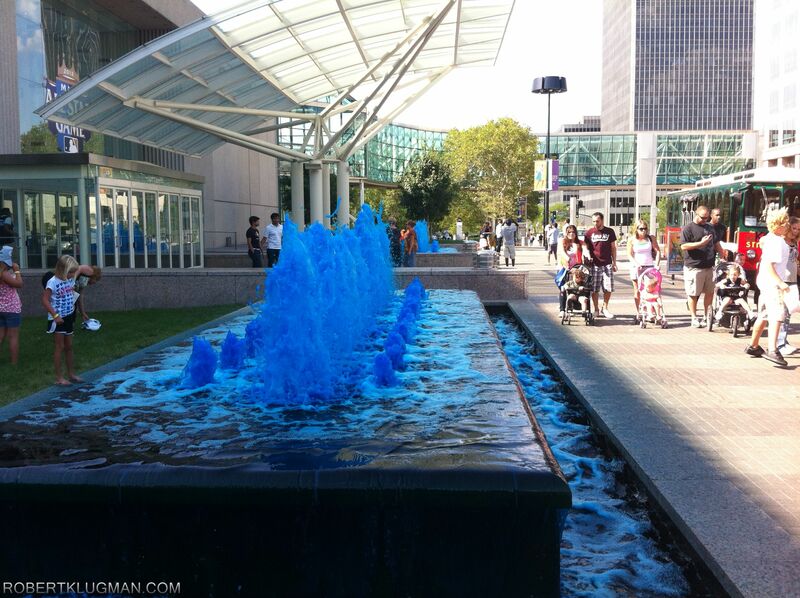 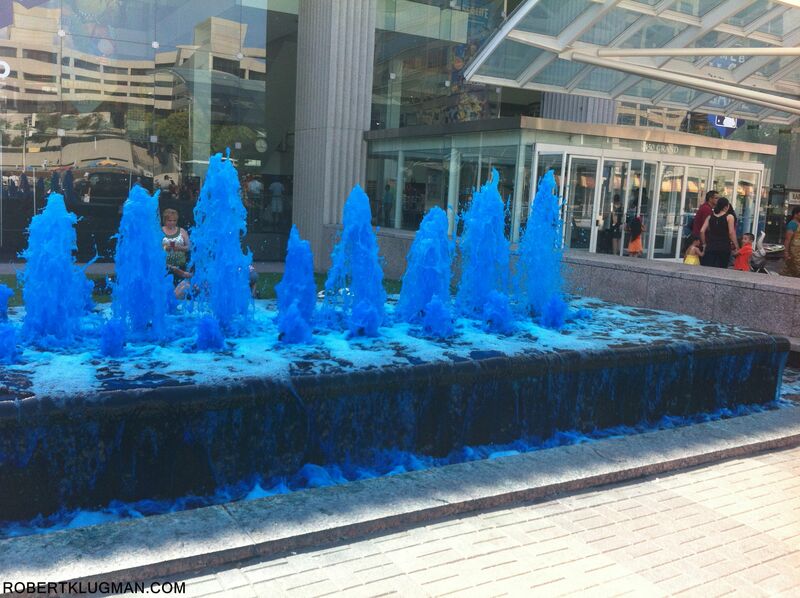 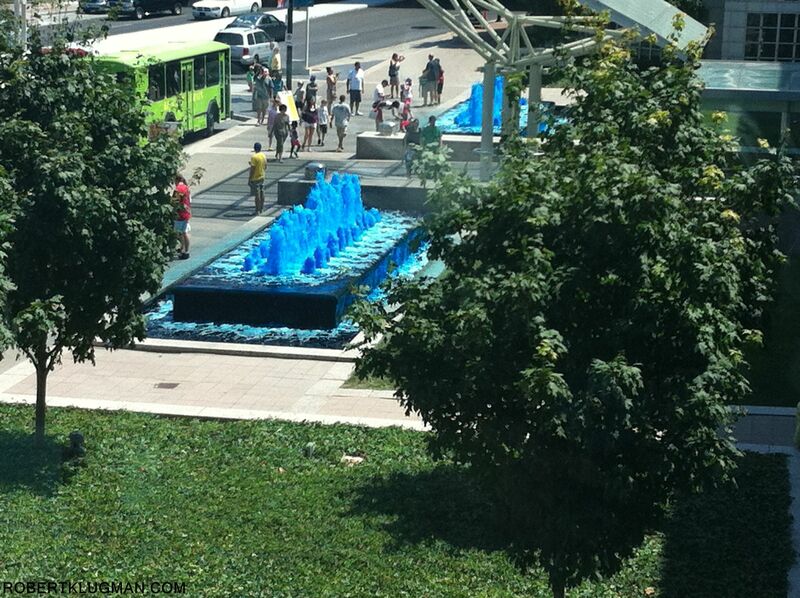 These were taken at Crown Center, they had tinted their fountain Royal Blue, for the 2012 All Star Game. 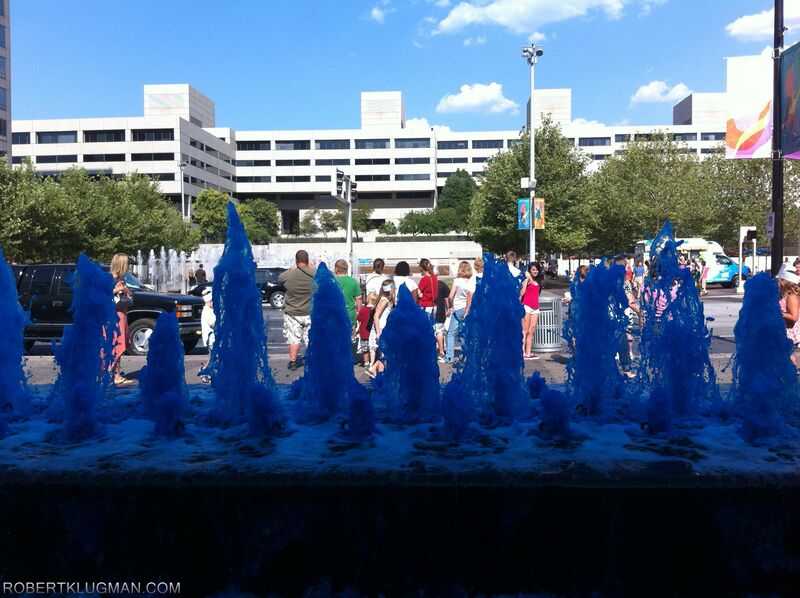 I was at a park that overlooks the airport, when I noticed the Direct TV Blimp near the hangars. 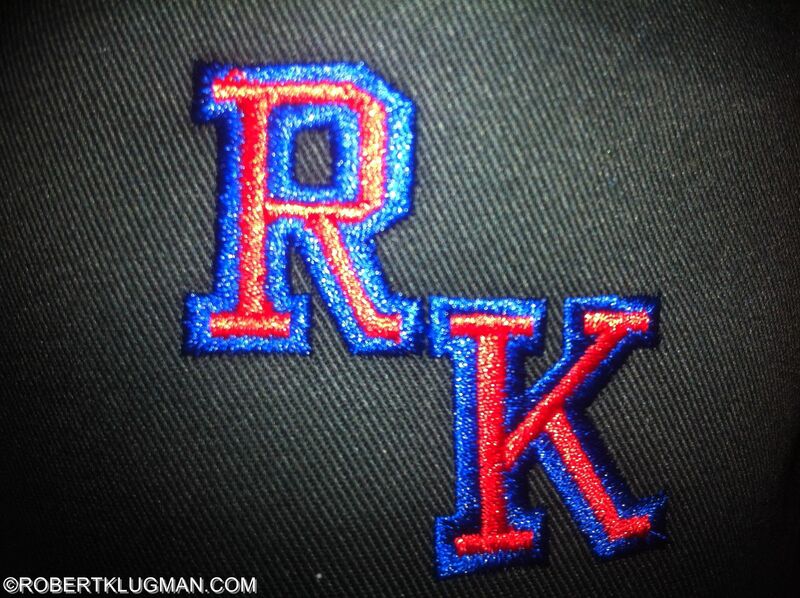 I knew instantly that it was here for the upcoming all star game being held at Royals Stadium (AKA) The- K.
I almost missed this helicopter flying over the blimp, it took flight before I realized it and barely caught this picture.